Visit our store to explore latest collection and for custom designing. A traditional Indian skirt worn with an embellished blouse to complete the look with a dupatta- just wow! Lehanga isn&apos;t occasion specific. You can wear lehanga to a small brunch party or a lavish wedding affair, all you have to do is choose the right one for the right occasion. Different palettes for different season, the choice of fabric, the work detailing, the cut and the fit there&apos;s more to this evergreen genre of outfit. You just can&apos;t help yourself falling in love with more than one dress at the store, that&apos;s a Silk and Sparkle Promise. Cocktails, graduation ceremony, bachelorette or a wedding party, gowns are women&apos;s bff. They have got their back all the time. The princess gown, the ball gown, the empire silhouette or the A- line choose the one that flatters your body the best. We&apos;ve got the pool of options for you. And in case you get confused and carried away with the awesomeness of gowns our team of professionals is always there to help you out. "Who&apos;s the hottest girl in the world?" Desi girl for sure. But when we say a desi girl, we picture her in saree. The statement piece of clothing that defines Indian women wear is saree for sure. You like classy - go for kanjivaram, you like it heavy and intricate banarasi for you, you want it light and sleek chiffon is your bae and if you&apos;d like to try it before you buy it, then you have Silk and Sparkle. Suits are savior! They are such a darling. There is no body type that suits can&apos;t complement; there is no woman whom suits can&apos;t impress. 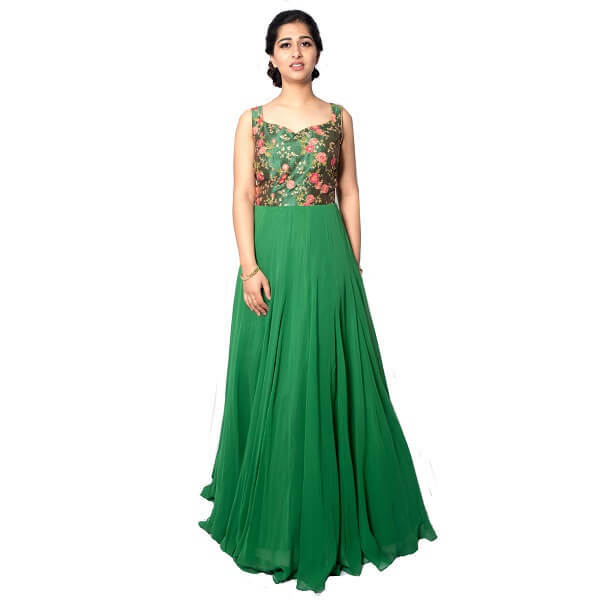 Salwar Kameez, sharara- kurta, Palazzos or Anarkali for that matter, we have myriads of options to cater to the fashion needs of the contemporary women.